Get Your Head Out of Your Asana is an insightful, tough, funny, yoga-based book that picks up where most yoga books leave off. 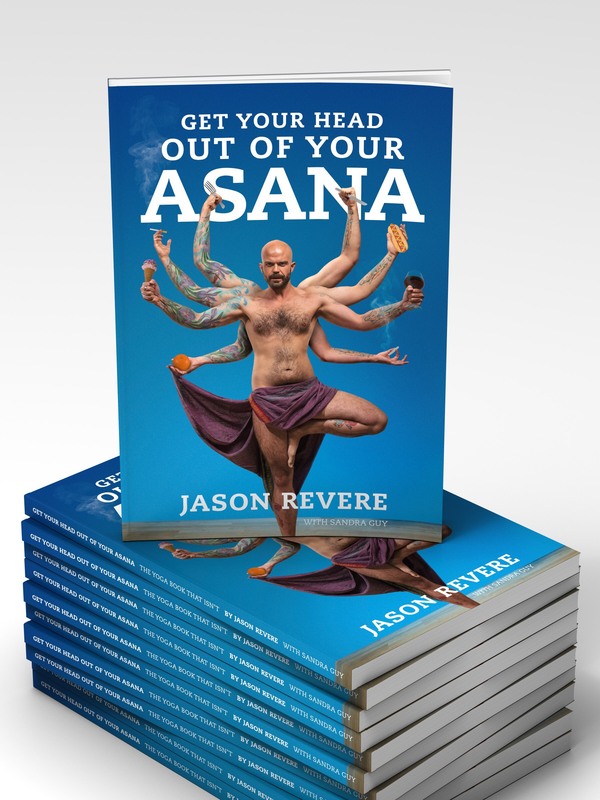 Author and Yoga Acharya Jason Revere, with Sandra Guy, takes you through a punchy, first person account of the path to Enlightenment in contemporary times. Explored through the use of conversation, story, jokes and vision, it embraces with honesty the hardship and humour required to wake up before you get there. This book is aimed at everyone who is ready to wake up and start living their dream. It hands the power to create the life you want back to you. An advocate for change, the book asks you to stop making excuses as to why you can’t have what you want to have. Instead, it asks you to look at why you want what you think you want and what you might need to let go of in order to achieve it. But this book is not about quick fixes. No amount of visualising a big bank account is going to fill yours without you being aligned to your True Self and acting with clear intention. Get Your Head Out of Your Asana is as much a book for people wanting change in their lives as it is for experienced yogis/yoginis looking to deepen their practice or take the next step towards Awakening. This book needs to be read line-by-line and then again and then again as a guide to contemplating ultimate truth. It is a must read for those of us who believe that enlightenment can be found in religion or philosophy. It’s a must read for those of us who believe that it cannot. The author repeatedly challenges the reader to look deeper, to look within for real truth, by holding up a honest mirror to his own debunked beliefs and personal experiences. Fascinating, though I can't say I understand it all... but I don't think I'm supposed to... at least not on the first, second, third or twentieth read. It's an onion of enigmas peeled back to reveal ... well... I'm not sure if it is meant to reveal more of Jason or myself - but perhaps that's part of the puzzle.